Card. Fernando Filoni, Prefect of the Congregation for the Evangelization of Peoples, author of "Church in Iraq - History, development and mission, from its beginnings to the present day"
A complete history of the presence of Christians in Iraq, by the beginning of the Gospel in that land until today. 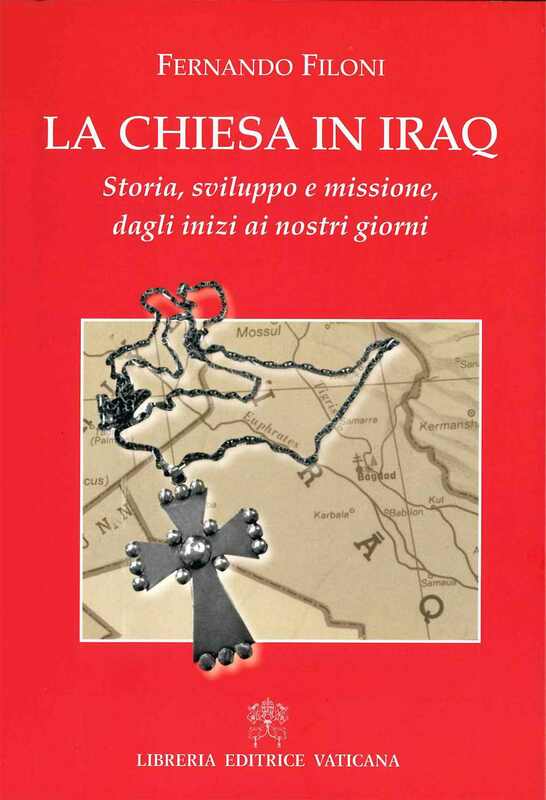 Cardinal Fernando Filoni, Prefect of the Congregation for the Evangelization of Peoples, former apostolic nuncio in Jordan and Iraq from 2001 to 2006, wrote the volume The Church in Iraq - History, development and mission, from its beginnings to the present day, published by the Libreria Editrice Vaticana. "Will this multiple and rich Christian presence survive in the near future, or disappear?". It is the basic question that animates the book, which begins with a geo-political framework of the region and then trace the history since the first century, by preaching in Mesopotamia attributed to St. Thomas and to Addai and Mari disciples. This book offers "a knowledge of the birth, evolution and development of the Christian community in Mesopotamia, but also its beauty, crises and humiliations that highlight the socio-political context and the testimony of faith even in the current persecutions”.